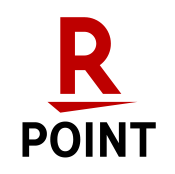 Her satın almanız için Rakuten Super Points™ (RSP) ile ödüllendirilin. Her satın almada %1 kazanın. Siparişinizde anında indirim kazanmak için alışverişi bitirirken puanları kullanın. Bugün kaydolun, ilk alımınızdan NT$100 indirim ve 100 Rakuten Super Points kazanın. İlk alımınızdan NT$100 indirim kazanabilir ve 100 Rakuten Super Points alabilirsiniz. İndirimi almak için sepetinize en az NT$121 değerinde ürün ekleyin. Tayvan değil misin? Bulunduğun ülkenin mağazasını seçerek satın alabileceğin e-kitapları bulabilirsin. With an Introduction by David Stuart Davies. The Hound of the Baskervilles is the classic detective chiller. It features the world's greatest detective, Sherlock Holmes, in his most challenging case. The Baskerville family is haunted by a phantom beast "with blazing eyes and dripping jaws" which roams the mist-enshrouded moors around the isolated Baskerville Hall on Dartmoor. Now the hound seems to be stalking young Sir Henry, the new master of the Baskerville estate. Is this devilish spectre the manifestation of the family curse? Or is Sir Henry the victim of a vile and scheming murderer? Only Sherlock Holmes can solve this devilish affair. “Lying across his chest was a most curious weapon, a shotgun with the barrel sawn off in front of the triggers. It was clear that it had been fired at close range, and that he had received the whole charge in the face, blowing his head almost to pieces”. Sherlock Holmes' arch enemy, the criminal genius Professor Moriarty, is back! But the solution to the riddle, found after many surprising twists and high dramas, lies far away, half across the world in a location known as 'The Valley of Fear'. 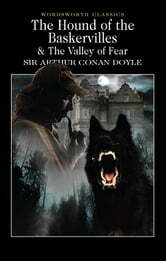 This is Conan Doyle's last Holmes novel and in the opinion of many of his fans, it is the best!